Many portable keyboards are built with plastic to keep them light. As a result, they can feel chintzy. The K83, though, is constructed of brushed aluminum, which gives it a premium look and assures it won’t weigh down your laptop bag. It weighs about three-quarters of a pound and measures 0.4 x 11 x 5 inches. In practical terms, the keys almost perfectly overlaid those on a 13-inch MacBook Air’s keyboard. One of the ways the K83 managed this smaller footprint was to ditch the numeric keypad. As we saw with the Evoluent Reduced Reach Right-Hand Keyboard, though, this also allows you move your mouse closer to the the keyboard, potentially reducing reach-induced strain in your arm. The modified layout also means you need to use the function key to activate common keys like Home and Back on certain operating systems. The K83 has reasonably sized quiet-touch keys with good travel and just enough click to let you know they’re doing their job. 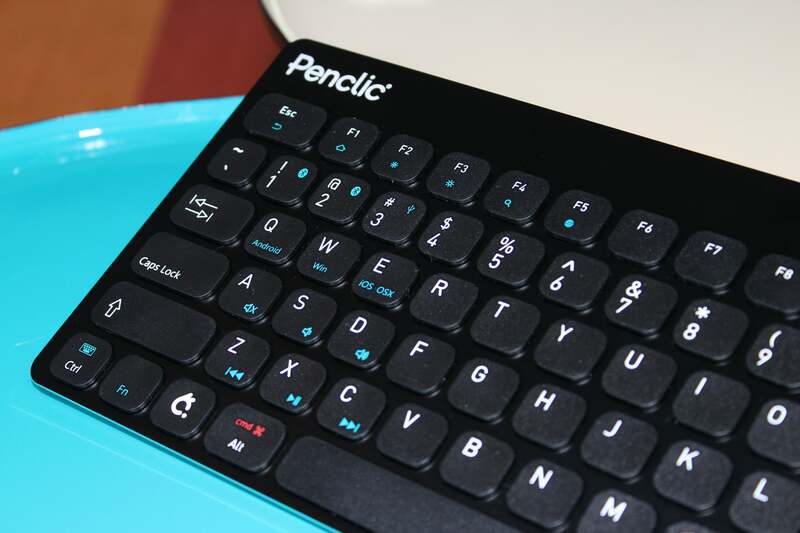 They’re no closer together than on a typical laptop, so your fingers don’t feel crowded. A chart outlining the special function key commands for each operating system is included in the instruction manual, though with a couple of exceptions they’re uniform across platforms. That allowed us switch back and forth between devices and operating systems with no real hiccups. The K83 runs on a rechargeable lithium-polymer battery. 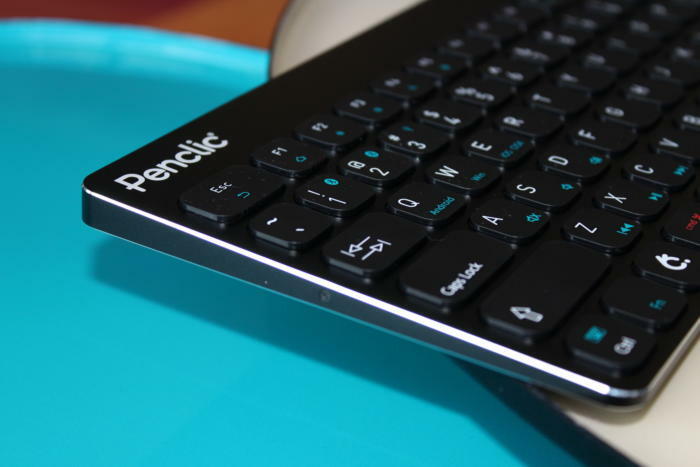 Penclic gives no indication as to its battery life, but we can confirm the keyboard was still going strong two weeks after its initial charge. The KB3 uses an energy-saver mode, going to sleep after 30 minutes of inactivity. You can wake it up by pressing any key. Should you buy the mini keyboard K83? The K83 is a fantastic portable keyboard that delivers on its promise to make it easy and comfortable to switch between the multiple devices on which we all work today. 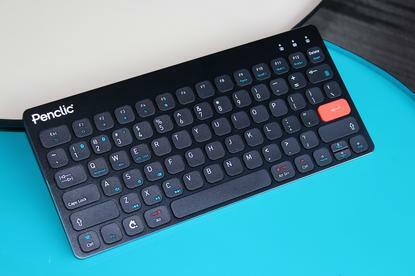 However, the just-as-good Logitech K780 Multi-Device Wireless Keyboard can be had for $10 less, and it includes a tray to prop up your smartphone or tablet for easier viewing.